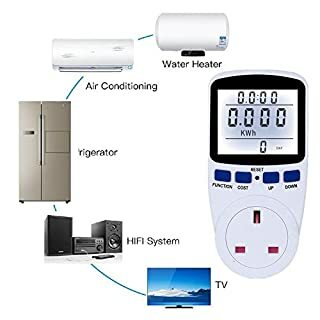 Advanced Features: Advanced feature of history bar graph of past Days/Weeks/Months daily consumption to provide proper prospective of electrical usage. 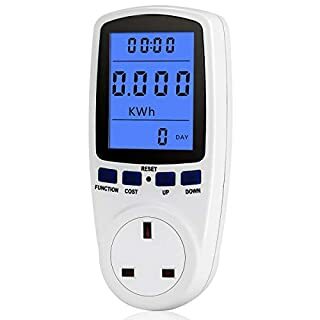 There are 8 display modes of the Energy Plug: 1.Time/Watt/Cost Display 2.Time/Cumulative electrical quantity Display 3.Time/Voltage/Frequency Display 4.Time/Current/Power Factor Display 5.Time/Minimum Power Display 6.Time/Maximal Power Display 7.Time/Price Display 8.Overload Display Technical Specifications: Operating voltage: 230V AC Frequency display: 50Hz Wide voltage range: 230V---- 250V Operating current: max 13A Timing display range: 0 second----9999days Wattage display (watts): 0W---- 3100W Voltage display (amps): 0.000A---13.000A Frequency display: 0Hz-9999Hz Minimum wattage display range: 0.0W-9999W Maximum wattage display range: 0.0W-9999W Price display range: 0.00€/KWH----99.99€KWH Total KWh and cost display: 0.000KWH----9999KWH, 0.00€----9999€ Package included: 1X Power Meter(UK Plug) 1X User Manual Good to note: If an abnormal display appears or the buttons produce no response, the instrument must be reset. To do this, please press the RESET button. 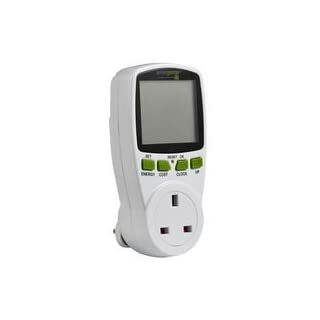 (1) Description: ▼-FLOUREON Power Meter provides feedback on electrical energy use. 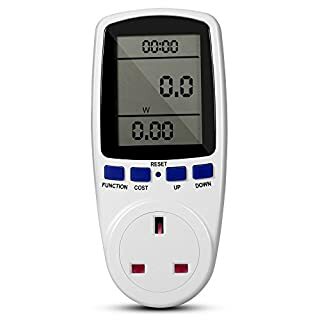 Like measuring various parameters: power (W), energy (kWh), volts, amps, hertz, power factor and maximum power (W), time, days - kWh. 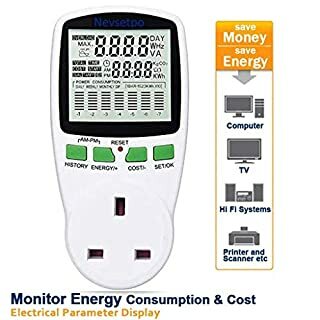 ▼-The LCD display allows you clearly know about the near real-time consumption,and totally a means to change and reduce your household energy use and consumption. (2)Features: ▼-Large, clear LCD display for easy reading(screen dimension: 45mm x 70mm). 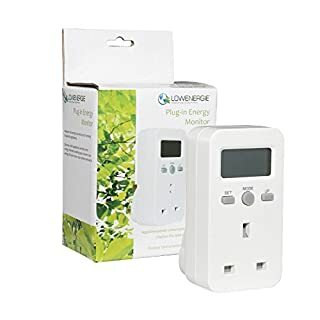 ▼-Displays volts, amps and wattage accurate to 3% ▼-Built-in battery(3.6V rechargeable batteries ) backup - allows meter to be moved (and viewed) without losing readings. 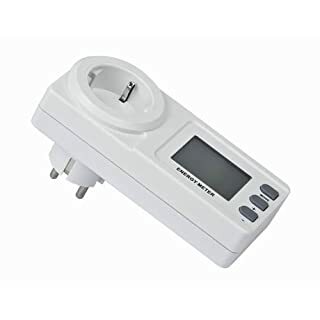 (3) Specifications: ▼-Power consumption of the Power Meter Monitor：0.5W ▼-Operating voltage: 230VAC ▼-Frequency display: 50HZ ▼-Operating current: max 13A ▼-Wide voltage range: 230V-250V ▼-Timing display range: 0 second~9999 days ▼-Voltage display range: 0V~9999V ▼-Current display (amps): 0.000A~13.000A ▼-Price display range: 0.00COST/KWH～99.99COST/KWH ▼-Total KWh and cost display: 0.000KWh-9999KWh, 0.00COST----9999COST ▼-Dimensions: 155mm//70mm/45mm (4) 8 Display Modes: ▼-Time/Watt/Cost Display; ▼-Time/Cumulative electrical quantity Display; ▼-Time/Voltage/Frequency Display; ▼-Time/Current/Power Factor Display; ▼-Time/Minimum Power Display; ▼-Time/Maximal Power Display; ▼-Time/Price Display; ▼-Overload Display. 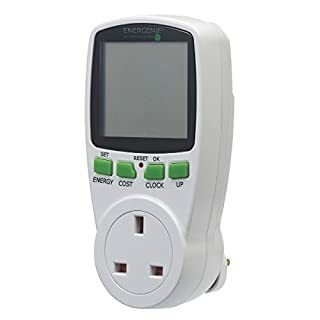 (5) Package includes: ▼-1X Power Meter(UK Plug) ▼-1X English User Manual (6)NOTE: ▼-If an abnormal display appears or the buttons produce no response, the instrument must be reset. To do this, please press the RESET button. Brennenstuhl® Eco-Line Extension Lead Cable Energy Saving Meter 5 Socket Gang Way 1.5m Main Plug - White. 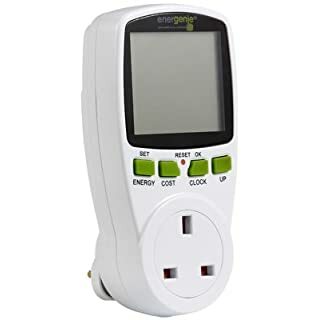 This White 5-Way Eco-Line Extension Socket Energy Meter from Brennenstuhl has been designed to measure the energy consumption of up to 5 devices simultaneously, calculating the amount of CO2 used and the corresponding energy costs. 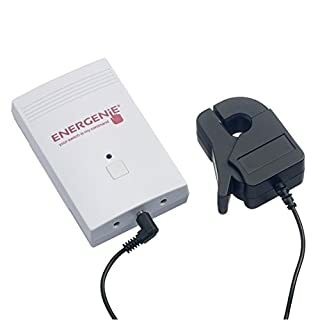 Equipped with a host of excellent features, including the integrated rechargeable battery for storage of data in case of power-cut, while one of the sockets is extra widely spaced for larger power supply units. Childproof sockets, Blister packaging. Measuremes voltage, frequency, power, power factor, capacity and max. 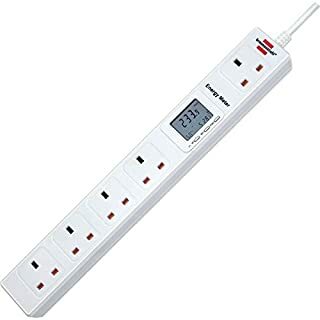 capacity, Supplied with lead of 1.5m. 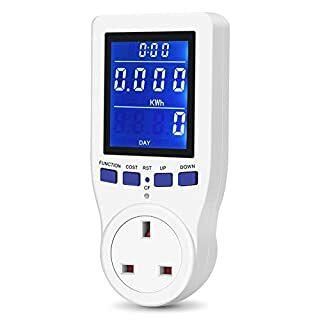 Power Meter is a monitoring and testing instrument which calculate the power consumption of a electric appliance and the cost of the electricity consumed. 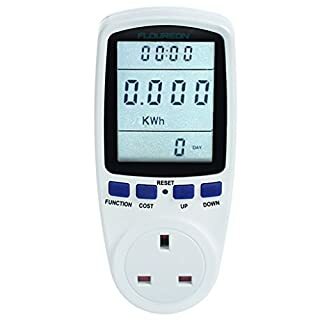 There are 8 display modes of the Energy Plug: : Time/Watt/Cost Display : Time/Cumulative electrical quantity Display : Time/Voltage/Frequency Display : Time/Current/Power Factor Display : Time/Minimum Power Display : Time/Maximal Power Display : Time/Price Display : Overload Display Technical Specifications: : Operating voltage: 230V AC : Frequency display: 50Hz : Wide voltage range: 230V---- 250V : Operating current: max 10A : Timing display range: 0 second----9999days : Wattage display (watts): 0W---- 2900W : Voltage display (amps): 0.000A---13.000A : Frequency display: 0Hz-9999Hz Package Include: : 1X Power Meter(UK Plug) : 1X English User Manual Note: If an abnormal display appears or the buttons produce no response, the instrument must be reset. To do this, please press the RESET button. 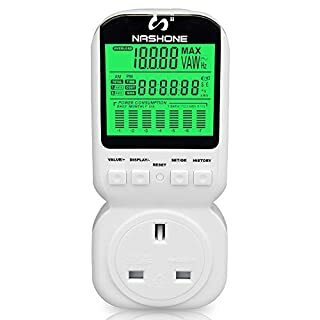 Nashone Power Meter:This power meter supplies you with data on the power consumption of connected electrical devices. With the push of a button, you can quickly and easily see the power measurement. Measurement such as Voltage, Amperage, Power, Frequency, Power Factor and Overload values are displayed. 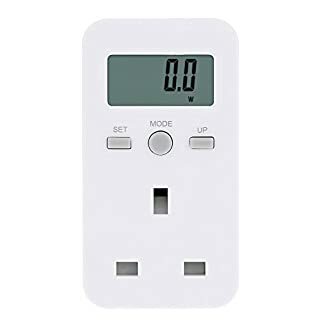 You can also enter your electricity rate and then display the actual costs.Displaying the equivalent CO2 emission in kg also provides you with additional ecological information. 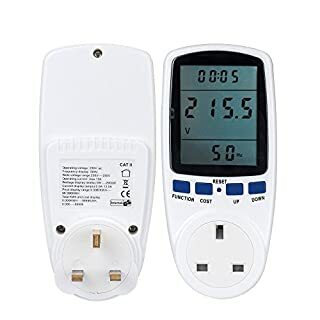 The monitor also shows you the total consumption over a measurement period of up to seven months and the corresponding operating time.Specification:Input/output Voltage: 230V~50Hz(UK)Voltage measurement range: 170V-270VCurrent measurement range: 0.001A to 16APower measurement range: 0.23W-3680WFrequency display: 46-65HzResolving power: 0.001WConsumption measurement: 0-999999 kWhGreenhouse gas emissions: 0-999999 kgDisplay time: up to 9999:59, hhhh:mmConsumption representation: 7 days and/or 7 monthsOperating temperature: 10 to 40℃Measurement accuracy:Volts: under 1% of the measured valueAmps: 1% of the measured value, ±0.001AWatts: 1% of the measured value, ±0.5WPower factor: 1% of the measured value, ±0.01Energy consumption: 0.5WPackage include:1*Power Meter 1*User ManualAfter sale service undertaking:A 45 days money back guarantee and a 18 months warranty period, 100% satisfaction of customer service.About NashoneNashone is a professional household switch manufacturer for 20 years. Most of our products have passed international certification, such as FCC, CE. We strive to provide high-quality products and excellent customer service. If you want to know more about our products, please search "NASHONE" on Amazon. 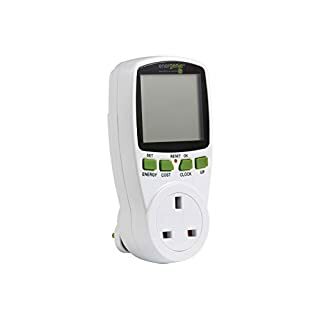 Monitor and measure the energy use and costs of running your household appliances. 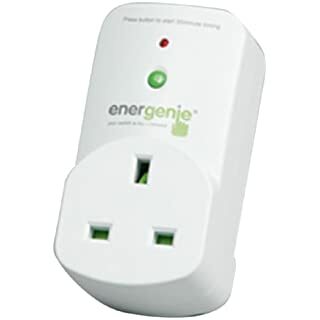 Simply plug into a powered mains socket and then plug any 13 amp-rated appliance in. Discover which appliances use most energy, helping you lower power bills and reduce emissions. 240V. W x D x H: 58 x 70 x 120mm. Current range: 0.005 to 13A, +/-2%. Power range: 0.1 to 3120W, +/-2%. 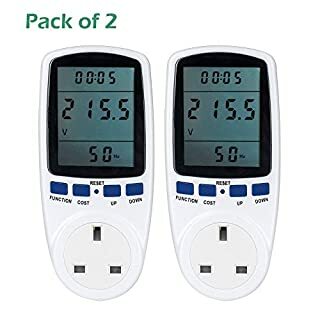 Power Factor: 0.00 to 1.00. Overload power setting and alarm. Accumulative electricity usage range. Weight: 0.19kg. 13A Rated. Provides Power Factor Data.